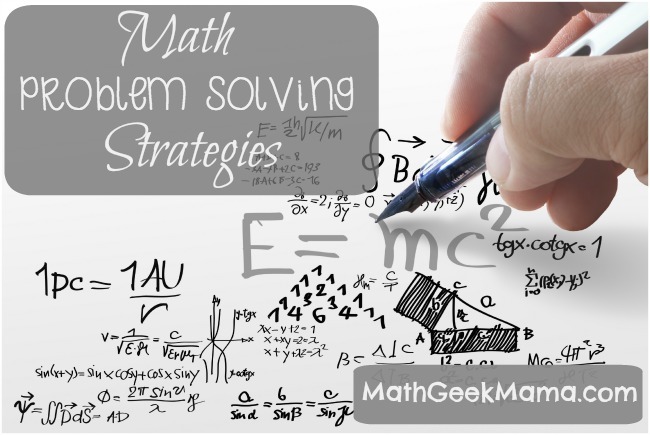 One of the most important things students should be learning in math class is not some specific, useful math topic or skill, but how to problem solve. Math is not easy! If students understand that math is hard, and requires thinking and practicing, they will be less likely to give up at the first sign of trouble. If students understand that it’s ok to wrestle with a problem for a little while, and maybe even make some mistakes first, they won’t be as frustrated when the answer doesn’t simply pop into their head the first time they read the problem. Sometimes, the best way to solve a difficult problem is by solving an easier problem first, as I’ll discuss today. As essential as problem solving is, knowing how to problem solve is not something that will come naturally to every student in your class. So it is important to take time to explain and try out some problem solving strategies with them, and even model your thinking as you work through difficult math problems. Don’t just show them your steps; walk them and talk them through the process! If a problem seems overwhelming, has a lot of steps, or very large numbers, try to solve a simpler version or a similar problem to help get you going in the right direction. My student immediately wrote 527 over 374 on her paper and drew an equals sign. So I asked, “Ok, we have these two numbers, what do we need to do with them?” She did not understand the question well enough to know if she needed to add or subtract, so we looked at a simpler problem. First, I drew a chart with Wednesday and Thursday and how many bugs they found on each day and we talked about what the question was asking (how many more, meaning how much bigger or what’s the difference between the two). Then, I simplified things by changing the numbers from 527 and 374 to simply 5 and 3. Because she was still unsure of the question, we plotted the numbers on a number line and saw that 5 is 2 more than 3. So I asked, “What operation can we use to find that 5 is 2 more than 3?” She answered with “subtraction,” and I was able to show her that if subtraction worked in this simple version, it would work with the larger numbers as well. Then she was able to subtract and solve the problem! Taking the time to think through this problem was important because she struggles with knowing what to do with all the pieces of information given in word problems. If I had simply let her guess and work it out (using addition), and then said, “Oh, actually you’re supposed to subtract here. Try again!” she likely would have made the same mistake the next time. I hope you find this useful! 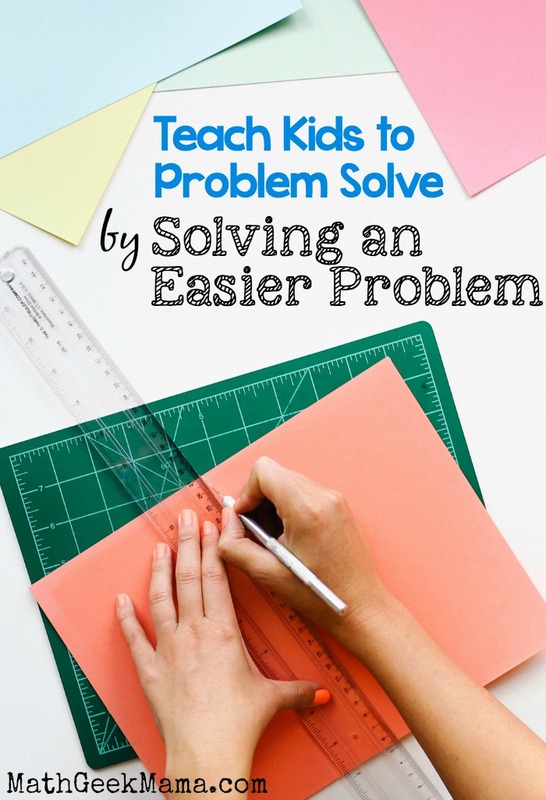 How do you encourage and aid students in problem solving? reference: Polya, George (1957). “How to Solve It.” Garden City, NY: Doubleday. p. 253.